Have you considered trying natural weight loss supplements? There is no shortage of products that promise to melt fat or blast away pounds. So how do you find the best one? The problem is that many guides to weight loss pills are produced by the very people who are selling the supplements. It's important to gather unbiased and current information about the diet pills so that you lose weight safely and effectively. There are different types of dietary supplements. Herbal or natural supplements for weight loss are those that come from plant sources and claim to help you lose weight. Sometimes they are also called botanicals or phytomedicines. These herbal supplements often have a label that says they are "100% Natural" and may have a healthy-sounding brand name. But just because a product is natural doesn't mean it is safe. And just because a supplement is "healthy" doesn't mean it is effective. 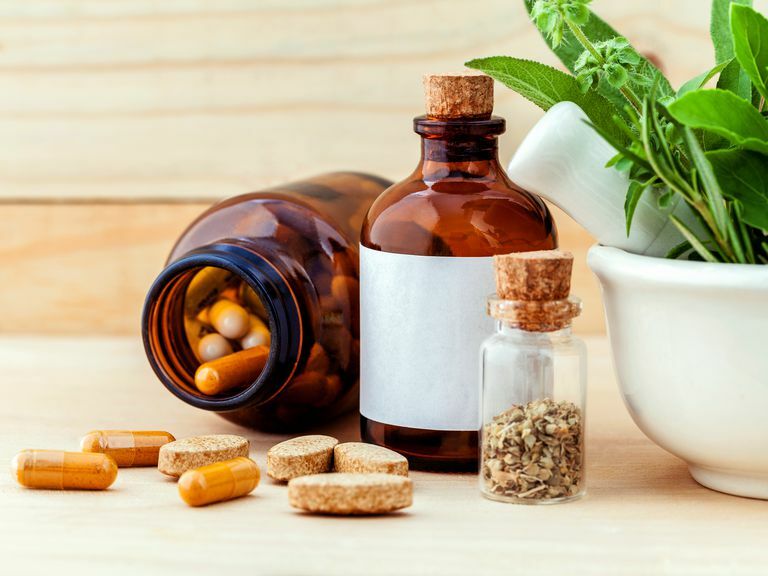 Several recent studies conducted on dietary supplements found that consumers who buy herbal supplements may not get the product that is advertised on the label. Unfortunately, this is a trend that doesn't just happen with online vendors or shady back-alley dealers. The State of New York has had to cite several large retailers for selling products that were not as advertised. Legislators in New York are pushing for stronger laws to protect consumers who buy herbal supplements for weight loss and for other health concerns. If you choose to supplement your weight loss program with an herbal product, you'll probably find that popular products in stores and online contain one or more of these herbal ingredients. Because it is one of the most popular products on the market, many scientists have studied garcinia cambogia (hydroxycitric acid). Unfortunately, the herbal supplement has been shown to have "little to no effect on weight loss," according to the National Institutes of Health Office of Dietary Supplements, Memorial Sloan Kettering Cancer Center, the National Center for Complementary and Integrative Health and other sources. This natural fiber product comes from the konjac plant. While diet supplements that contain glucomannan say it is effective for weight loss, a study published in the well-respected Journal of Obesity found that the herbal supplement did not promote weight loss. The National Institutes of Health also states that there is limited evidence to support its effectiveness. The government source also states that people who take the supplement may experience adverse side effects such as loose stools, flatulence, diarrhea, constipation, and abdominal discomfort. This product actually comes from fish but it is frequently listed as an herbal supplement to help you lose weight. People who are allergic to shellfish should not take this product. Even if you are not allergic, recent studies have found not found it to be effective for weight loss. And while government sources report few side effects, you may experience limited flatulence, bloating, constipation, indigestion, nausea, and heartburn when taking the diet pill. After ephedra was banned, some herbal supplement manufacturers started using bitter orange instead. Bitter orange may help you burn more calories, but researchers are not sure. Scientists have substantial concerns about the safety of the stimulant, especially when combined with other manufactured or natural weight loss supplements. Users of bitter orange have reported chest pain, anxiety, and increased blood pressure and heart rate. Government sources say that the pill may raise heart rate and metabolic rate, but there is not enough evidence to say that it will help you lose weight. This herbal supplement is found on almost every drugstore shelf and many vendors sell the pills online. Unfortunately, many of the research studies that investigated the extract's effectiveness have not been high quality. You are not likely to experience side effects if you drink green tea or take a green tea supplement. But the NIH suggests that green tea may only provide a modest weight loss benefit if any at all. You'll see raspberry-related products in many herbal supplements for weight loss. But there have been no high-quality studies to demonstrate it's effectiveness as a diet aid in humans. No serious side effects have been reported but this diet aid may harm your budget since there is little evidence to show that it actually helps you lose weight. While this product should no longer be available, you may still be able to find it online or in stores. Aegeline (included in OxyElite Pro) was removed from the market and banned by the FDA after several cases of death and severe injury were reported. The ingredient was included in popular fat burning supplements and bodybuilding products. Before you take any supplement, be sure to consult your health care provider to make sure that the product is safe for you to use. Many products can be safe for some people but dangerous to others when combined with a medication, vitamin, or health condition. So be absolutely sure that you tell your doctor about all of the supplements, pills, and herbal products that you take or plan to take. While you're at your doctor's office, you may also want to ask if there have been recent scientific studies about the effectiveness of the product you're considering. It's best to get this information from an unbiased source, like your doctor. You can also check the database provided by the National Institutes of Health(NIH) or the NIH Office of Dietary Supplements Fact Sheets. According to the NIH, most supplements have been found to be ineffective for weight loss. There are some products that have been shown in limited situations to have some weight loss benefit, but you're not likely to slim down if you rely on the supplement alone. You're more likely to see results if you focus on proven methods such as a calorie-controlled healthy diet and regular exercise. Then add a supplement only if it is recommended by your physician.